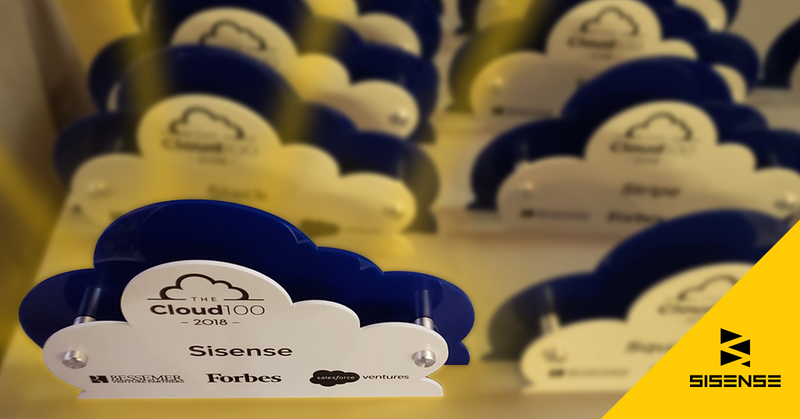 NEW YORK, NY September 13, 2018 –Sisense, disrupting the BI market by simplifying business analytics for complex data, today announced that it has been named to the Forbes 2018 Cloud 100. The Cloud 100 is a list of the top 100 global, private cloud companies compiled by Forbes in collaboration with Bessemer Venture Partners and Salesforce Ventures. All of the twenty-five cloud IPOs and major cloud acquisitions over the past three years are prior members of the Cloud 100. This year’s list represents more than $135 billion in private shareholder value, according to Bessemer Venture Partners. Sisense recently closed an $80 million investment round, bringing the total amount invested to approximately $200 million, to be used to further bolster its cloud solution through investments in Artificial Intelligence and Machine Learning. Sisense’s innovative analytics platform has earned a loyal base of thousands of clients across dozens of industries, ranging from innovative startups to global Fortune 50 brands. Leading companies such as GE, Nasdaq, Philips, and Oppenheimer have leveraged Sisense’s market-leading analytics for some time and the company continues to add notable customers including TIAA, Rolls Royce, Air Canada, Accenture, Expedia’s Egencia and Mazda. The Forbes 2018 Cloud 100 is published online at www.forbes.com/cloud100 and will appear in the September 2018 issue of Forbes magazine.